It’s that time of year again, the evenings are becoming shorter and the temperatures are dropping. 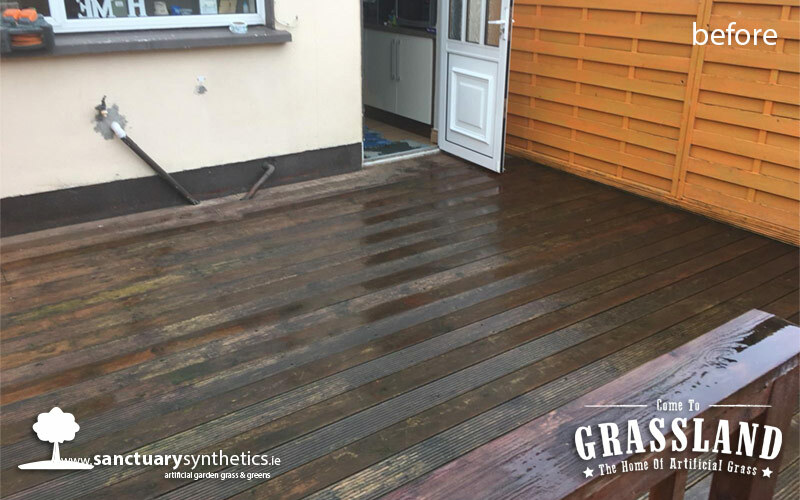 Colder weather can aggravate an already dangerous decking. Moss can grow on your decking and unfortunately 9 times out of ten there is no way of stopping this from happening. Moss again can make your deck dangerous to walk on. When it freezes just like the weather we’ve been having this winter your deck can become as dangerous as an Ice-skating rink. No matter what cleaning solution or how many times you power hosed your deck the same issues always occurs with decking. You can never have the peace of mind that your deck is a safe surface. If your fed up with all the above issues with your deck fear not we have a quick fix solution to this problem….…..artificial grass. 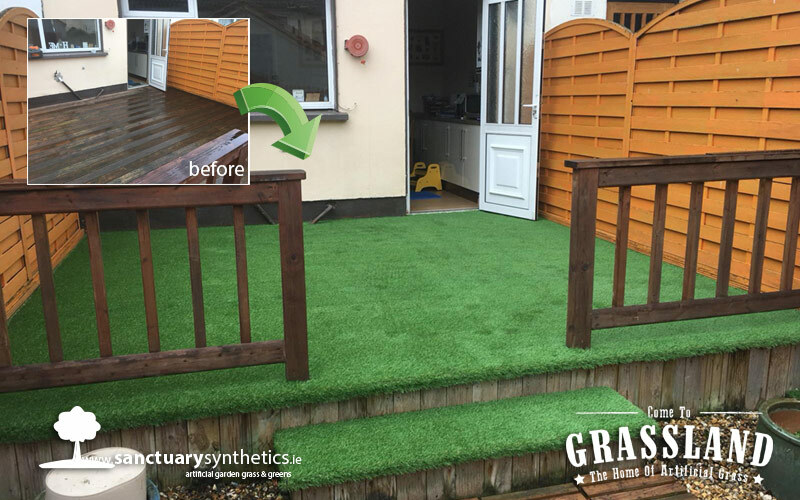 Our artificial grass has several benefits and can be installed on to numerous surfaces, one that particularly works well is installing artificial grass on to a deck. All this installation process initials is cutting the artificial grass to size and nailing the artificial grass to the timber deck boards. Artificial grass will not only fix the issue of slippery decks it will also inject new life in to your deck area the bright green fibers of the artificial grass will bring colour to your existing dreary bleak deck. Our artificial grass is a non-slip surface making it the perfect quick fix solution for your slippery deck. We have several different types of artificial grass, so there is plenty of choice for each customers preference. 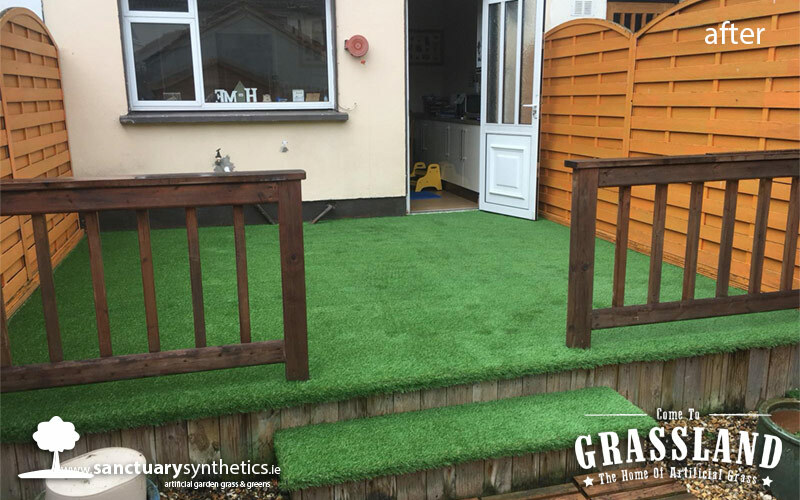 Our artificial grass is suitable for outdoor installation on to decks, we have a wide range of different artificial grasses which all have different pile heights. 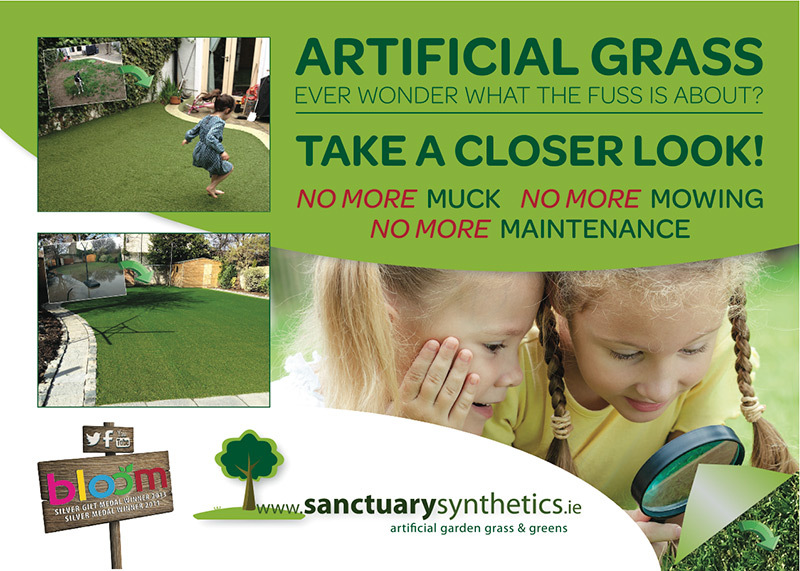 Each artificial grass looks different and even feels different. Imagine beautiful lawns all year round. 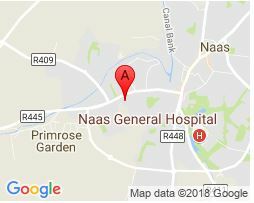 No maintenance, highly durable and weatherproof [even Irish weather!]. Give us a call on 045901970 to discuss a solution you’re dangerous slippery deck.